Substance addiction is a chronic, relapsing disorder characterized by a compulsion to take a substance despite potential consequences. 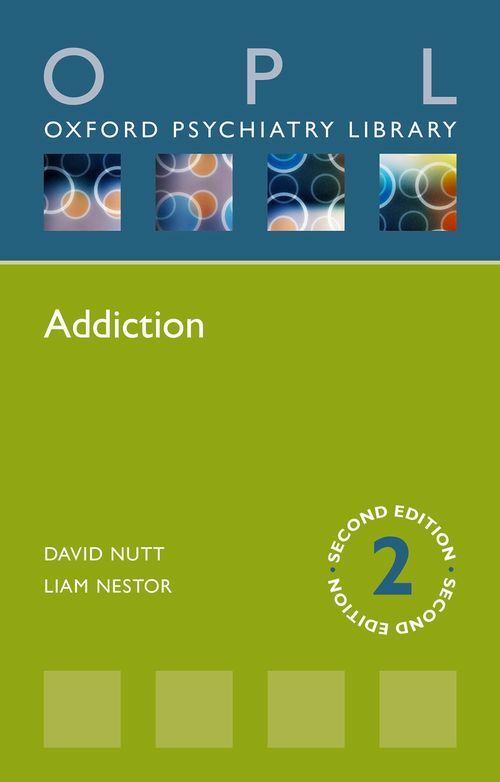 Addiction, second edition offers a clear and succinct overview of the brain science underpinning substance addiction. Focusing on the nature of addiction as a brain disorder, this resource discusses a range of different behavioural traits such as impulsivity and reward dependence, and looks at the critical role of kinetic and pharmacological factors. All chapters have been fully updated to provide readers with a quick-reference guide to the latest research on pharmacological and non-pharmacological treatments for addition, and feature helpful key points and further reading sources. In addition, two new chapters on nicotine addiction and appetite hormones have been added to ensure the reader is kept abreast of the most recent discussions in the field of research. David J. Nutt is currently the Edmond J. Safra Professor of Neuropsychopharmacology and director of the Neuropsychopharmacology Unit in the Division of Brain Sciences, Imperial College London. ; Liam J. Nestor is currently a Research Fellow at the Neuropsychopharmacology Unit in the Division of Brain Sciences, Imperial College London.